In order to access Nintendo eShop and other online functions of Wii U, you might need to perform a system update after connecting your console to the Internet. To perform a system update, first please ensure that your Wii U console is connected to the Internet. 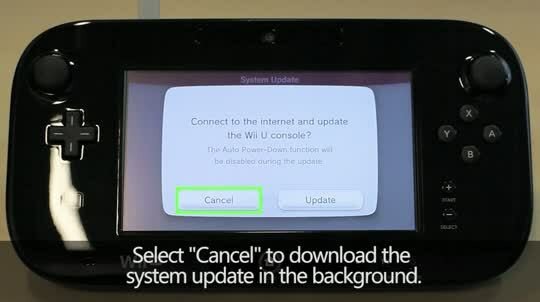 You can perform a system update by opening System Settings from the Wii U Menu, and navigating to the System Update option. You can even download data for the system update in the background while you play Wii U games. When the data has finished downloading, return to the Wii U Menu and follow the on-screen instructions to complete the update process. For more information, please visit the Wii U support section.